Wow! Congratulations to the lucky winner of Mini Cooper! Kuala Lumpur’s latest urban shopping destination located in Bangsar South, KL Gateway Mall celebrated their grand lucky draw by giving away a Grand Prize of the Mini Cooper 5 door. 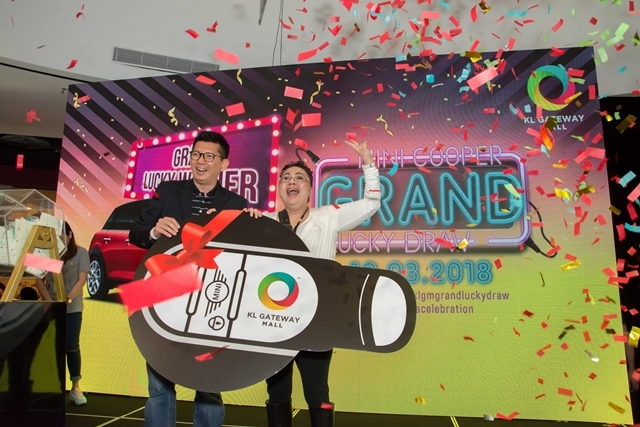 The Mini Cooper Grand Lucky Draw was launched as a celebration campaign starting from previous Hari Raya and ended on the 9th of March 2018.